It’s a particularly odd facet of the human race that a life lived in full is far less intriguing to us than a life unfulfilled. The big “What if?” dominates our thinking, the road not so much less travelled, as completely missed. From our everyday shop to watching the football, almost all our thoughts are taken up by wondering what could have been. There’s an excellent illustration of this in 500 Days of Summer where Joseph Gordon-Levitt’s evening runs on two parallel screens – reality vs expectations. Needless to say, the former is predictably underwhelming. As fascinating as plotting our own parallel world is, it’s even more enjoyable to plot someone else’s. So often the spheres of film and music are morosely dominated by the tragic fates that befall their stars. Jim Morrison, James Dean, Natalie Wood, Buddy Holly, John Belushi, Janis Joplin, Jimi Hendrix, River Phoenix, Marilyn Monroe, the list goes on. It’s these rare, unfulfilled talents who captivate our imagination. We’re only able to capture fleeting glimpses of their powers to entertain and invigorate, leaving us with an insatiable craving for more – the big what if? depict these tumultuous spasms of a life. Death is an easy sell, especially when it overcomes youth, but what about life? 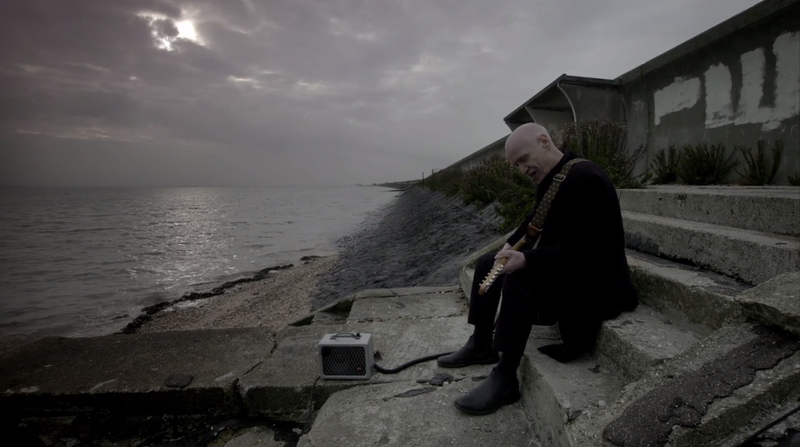 Another music hero, marauding ex-Dr Feelgood guitarist Wilko Johnson, is the subject of a much more compelling documentary this year. Julien Temple’s The Ecstasy of Wilko Johnson turns the youthful, tragic, clichés on their head by taking us on a redemptive journey with an ageing rocker. Wilko Johnson’s story is a bizarre one. At 68 he was diagnosed with terminal pancreatic cancer and given 10 months to live. Shunning any chemotherapy that would extend his life, “If it’s gonna kill me, I don’t want it to bore me” he offers, Wilko side steps any denial or grieving processes and accepts his irrevocably bleak sentence. Wilko gets a new lust for life; farewell tours in Japan, a new album and just revelling in the majesty of being a living, breathing entity. But then Wilko’s world is turned on its head – he’s given a glimmer of hope via a potentially lifesaving operation. Suddenly death, the shadowy bedfellow he’d befriended, is gone and he’s faced with the prospect of life all over again. The ‘What if?’ becomes reality. On top of the fact Wilko’s unique tale is the fact he’s such an enchanting, complex and humorous character. At odds with his bluesy three chord guitar playing Wilko’s a fountain of literature. At one moment he’s quoting Shakespeare and Chaucer, the next he’s off reciting Milton’s Paradise Lost word for word, not before a brief detour into ancient Icelandic poetry. These wonderful bouts of prose juxtapose with Wilko’s manic stare and thuggishly barren cranium. 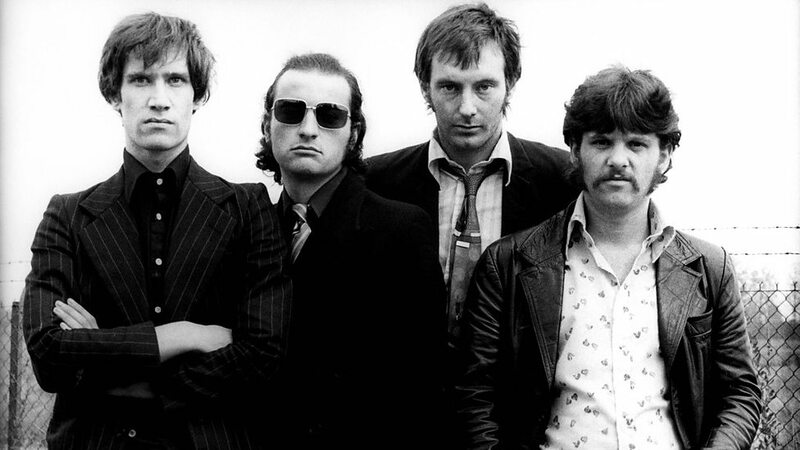 Anchored on Canvey Island’s seafront Wilko’s imposing glare, laced in a black suit, make him look closer to a hitman than an affable rocker come raconteur. It seems everything about him captivates, even his garbled speech that stumbles rather than glides out, is fascinating. While Winehouse and Cobain aren’t about to recount their lives, you’d doubt they’d have any of the charm, wit or worldly know how of Wilko’s guiding presence. What really sets The Ecstasy of Wilko Johnson apart from its peers is its director Julien Temple. Temple’s ability to combine music and film so seamlessly is a treat for those whose interests intersect the two mediums. As Wilko reels off the literary greats, Temple introduces the cinematic greats. The film is interjected with clips from films by iconic names like Pressburger & Powell, Bergman, Cocteau, FW Murnau, Buñuel, and Tarkovsky amongst others. It’s Powell’s A Matter of Life and Death, which sees crashed pilot David Niven justifying a chance at life to the heavens, and Bergman’s Seventh Seal which looms with extended resonance. The latter’s famous scene of death playing chess is subverted by Temple as Wilko cheekily recreates the moment in the shadow of Canvey’s imperfect coastline. 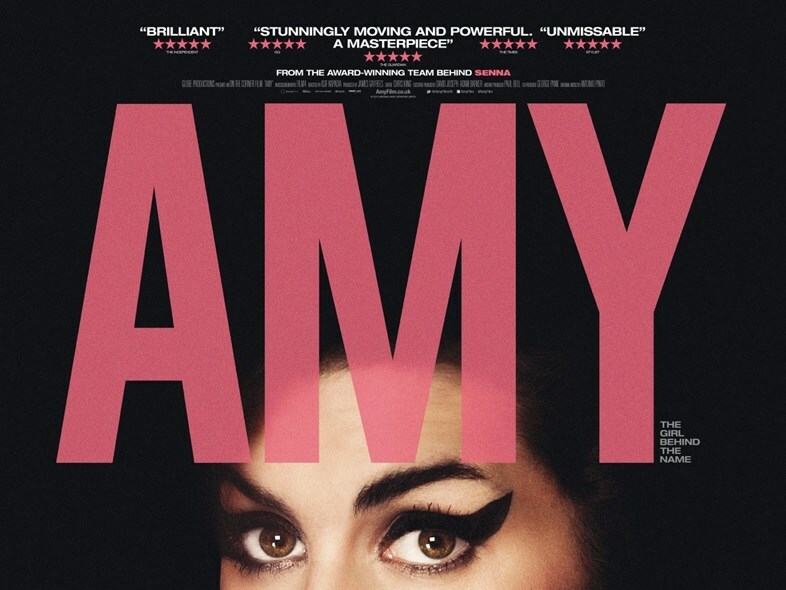 Amy and Montage of Heck thrive on speculation as well as impending sense of doom and tragedy. In contrast The Ecstasy of Wilko Johnson stands out the solid foundations of truth and fact. Wilko expresses himself eloquently and with humour to evoke a swelling of inspiration and admiration in light of his predicament. Upon hearing he’s going to die he muses “I walked out of there and I felt an elation of spirit. You’re walking along and suddenly you’re vividly alive. You’re looking at the trees and the sky and everything and it’s just ‘whoah’”The phrase uplifting gets banded around all too easily and cheaply, but this seems one occasion where the cliché can be fittingly applied. Rather than speculate what it is to die, Wilko shows what it is to be alive. The film’s final twist is that Wilko does the unthinkable and escapes death. Rather than revel in the ecstasy of being granted a second shot at life he’s left bewildered, almost numb with the prognosis. It’s bittersweet, having accepted his fate he’s thrust back into the mortal struggle. The burden of living has never been so brazenly illuminated. Just after his terminal diagnosis Wilko said “I’ve had a fantastic life. I think anybody who asks for more would just be being greedy. I don’t wanna be greedy”. It’s ok Wilko, I think we’ll let you off this time – as Guardian critic Peter Bradshaw correctly stated, “Wilko Johnson is a 100-1 shot for the title of Greatest Living Englishman”. After this escapade you’d be wise to slash those odds. ← “I think that it’s the worst that film has ever been” – Is Dustin Hoffman right?